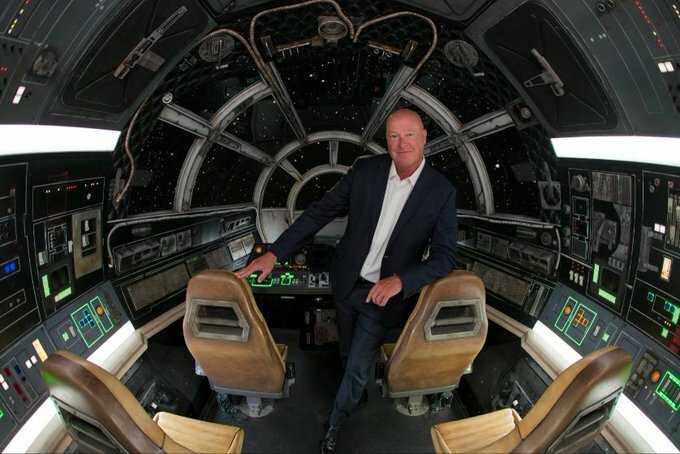 One of the highlights of yesterday's GTC keynote was a demonstration of the next big Disneyland ride - a new Star Wars attraction called Galaxy's Edge. NVIDIA has confirmed that it is working with Disney to create the look of the VR ride alongside Epic Games. The ride will involve a trip on the Millennium Falcon to a distant outpost called Batuu. Under the hood will be a BOXX workstation with eight NVIDIA Quadro P6000 GPUs connected with Quadro SLI, and synchronised to five projectors using Quadro Sync. "We worked with NVIDIA engineers to use Quadro-specific features like Mosaic and cross-GPU reads to develop a renderer that had performance characteristics we needed," says Bei Yang, technology studio executive at Disney Imagineering. "Using the eight connected GPUs allowed us to achieve performance unlike anything before." Though far from cheap (each Quadro P6000 costs $6,999 and comes with 24GB of GDDR5X VRAM) it ought to create something mind-blowing for a fraction of the price of previous attempts at such an attraction. For instance, when the first Star Wars ride at Disneyland - Star Tours - opened in 1987 at a cost of $32m, its price tag was twice that of the entire rest of the park's construction in 1955. The ride centred on four (then) state-of-the-art flight simulators purchased by Disney for half a million dollars a pop. That said, they got a good 20 years out of it, so it was probably good value. Fast forward 30 years and although the space required, the planning permission, the hydraulics and the question of who is going to man the gift shop probably puts it beyond the realms of most people, from a technological point of view, at least, this is a thrill ride that's actually affordable (just) by a member of the public. We can almost see an episode of George Clark's Shed of the Year about it in a few years time.